1862: Henry’s son Charles enters the Civil War and is wounded at Antietam; returns to New York to work with his father. Before coming to the Cathedral, the organist, conductor, and composer held the bench at the Church of the Immaculate Conception. He is also listed as a clarinetist of the Philharmonic in 1853, and in many grand performances about the city. His brother Henry was the hornist of the Philharmonic and a prolific professional musician. 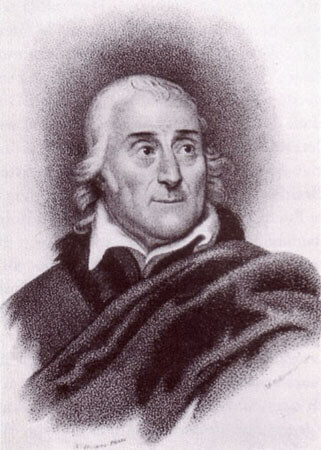 Unfortunately, Gustavus’ work as a composer is lost, as is the case with most of the music composed from that period. His music and the circumstances of its performance may be gleaned from accounts such as this. 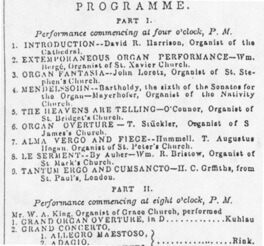 1868–present: Henry Erben organ, three manuals; the organ in current use. 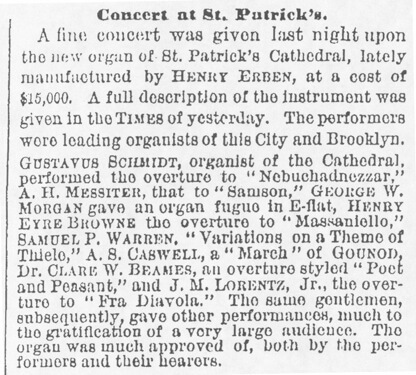 Organ inaugurated April 29, 1869 and remains the largest extant Erben in its original location. 1869: On May 10, the Transcontinental Railroad is completed, with the ceremonial driving of the “Last Spike” at Promontory Summit, Utah. John White (1855–1902) was a London-born organist and recitalist. 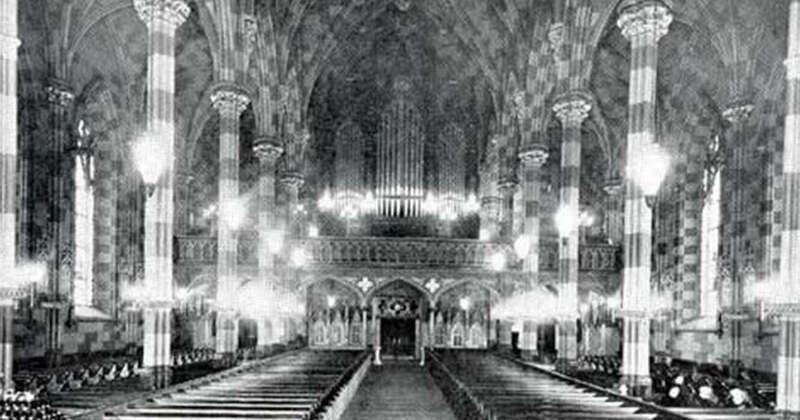 He was the organist, when in 1877, the Cathedral moved to its uptown location. He had a very successful career, later becoming the organist at the Church of the Ascension on 5th Avenue. By 1892, he had an address at the Dakota on Central Park West,  later home to Leonard Bernstein and the Beatles! White was a student of Josef Rheinberger (1839–1901) in Munich, and returned there in 1896. No remarks as to a choir; no details. 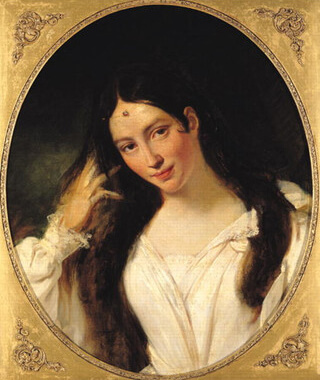 Miss Nellie Cassin is listed as a director, with Gorman as Director/Organist. There was a boy’s choir from St. Patrick’s School in 1892–3. By 1895, Ms. Cassin’s title was Assistant, and there was a choir consisting of the following: Soprano – Miss Agnes R. Byrne; Alto – Miss Nellie McCarthy, Miss Nettie Sullivan, Mrs. M. R. Higgins; Tenor – Thomas Dowd; Bass – Fred Frank. 1909: Admiral Henry Erben, Jr., dies in New York with national coverage of his life; in 1943, the Navy destroyer the U.S.S. Erben is launched.